It is a great pleasure to meet with all of you today on my assumption of office as the Director-General of NAFDAC. Let me start by appreciating the warm reception given to me as many of you are meeting me for the very first time. Your presence here signifies your readiness to join in charting a new course for this Agency. I hasten to register my sincere appreciation to the former Acting Director-General Mrs. Yetunde Oni and Immediate Past Acting Director-General Mr. Ademola Mogbojuri, for their efforts in running the affairs of this Agency for over 20 months. The annual reports for the last three years were handed over to me not long ago. I have given the documents a preliminary reading, and I will seek clarifications where necessary. I was invited to the United States Pharmacopeia (USP) in Maryland, USA last week for a six-hour meeting where I was given a report of the Promoting the Quality of Medicines (PQM) support that USP had given to NAFDAC. These included strategies needed for the near future. I have also received the report of the gap assessment of NAFDAC conducted by USP and USAID that was published in August 2017. The documents, in particular the USP/USAID GAP Assessment, have given me valuable insights into what is on ground here. In the next few days and weeks, I would be meeting with directorates and zonal heads, individually and collectively, for a better appreciation of where the agency is today and what challenges lie ahead of it. I would like to thank the USP, USAID, WHO, Nigeria Academic Pharmacists, as well as other partners for their efforts and support of NAFDAC in the assurance of quality food, medicines and medical devices for all Nigerians. I would like to thank the National Assembly for the efforts being made to pass the Fake and Counterfeit Drug Act. 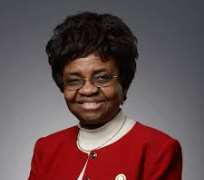 As we all know, NAFDAC was established by Decree 15 of 1993 (as Amended) now Act Cap N1 Laws of the Federation of Nigeria in2004 to regulate and control the importation, exportation, manufacture, distribution, advertisement, sale and use of food, drug, cosmetics, chemicals, detergents, medical devices and packaged water in Nigeria. This makes the Agency an important and strategic one, placing on it a huge responsibility and from which so much is expected. Clearly, the Agency plays a critical role in ensuring that the health of all Nigerians and foreigners residing in Nigeria are not jeopardized by the use of substandard or counterfeit regulated products. With regard to fake or counterfeit regulated products, I will use an example that cannot sound strange to many of us Nigerians. A family visited Nigeria many years ago and Okechi (their 3-year old baby) became ill during the visit. He was taken to University of Nigeria Teaching Hospital, Enugu and was placed on an antibiotic that did not clear the infection. Little Okechi’s situation became grave and near death until they realized that the medication he was prescribed and which was bought from a pharmacy was a fake drug. Fortunately, Okechi’s life was saved when he was started on a genuine antibiotic. Let us remember that Okechi could be our son, grandson, nephew, cousin, or he could be us when we were little, and whose life could have been terminated due to substandard and counterfeit or falsified medicines. The concerns of our people are mainly about safety of our drugs, food, medical devices and water. Most people, including those who manufacture fake drugs and sell bad foods or water, do not plan to kill people, but may not fully understand that chemicals (be they in drugs or food, or through bio-contamination) can kill hundreds of people easily. During my tenure, I will lead the Agency toward eliminating substandard, falsified and unsafe drugs, medical devices, foods and water. For the last twenty-four years, NAFDAC has made steady progress in ensuring that the health of the nation is protected. Our collective responsibility is to take the Agency to the next level. I come with an open mind and commitment to lead the Agency, and carry along all of you, my esteemed NAFDAC staff, in this journey to make NAFDAC a respected and internationally recognized regulatory agency. One of our core values in NAFDAC is promoting an effective and efficient well-disciplined and motivated workforce. Therefore, as a continuous quality monitoring strategy, transparent performance evaluation of all staff, (where excellence is rewarded) will be enhanced. I welcome any suggestions or information that you may have that will help to advance the mission of this Agency. Remember, too, that you are free to call my attention to where you think I am going astray. Although, my CV says a lot about me, I don’t know it all; nobody does. I have come here to serve Nigeria. Together, we shall succeed. · Ensure that staff welfare is at the front burner; I shall be meeting with the top management staff and the Union in this regard. · Enhance quality testing of medicines by adequately training staff in international quality standards, and by providing needed laboratory infrastructure (equipment and supplies). · Conduct scheduled pharmacovigilance and post marketing surveillance for evidence-based regulatory decisions that would result. · Continue with all the good projects of the Agency as long as they meet irreducible minimums in due process, and conform to the law that established the Agency. · Consolidate NAFDAC’s successes in the use of anti-counterfeiting cutting edge technologies. · Reconstruct NAFDAC web presence and streamline the submission and approval of dossiers for registration of drugs, food and water. · Tackle headlong the challenges faced by Micro, Small and Medium Enterprises (MSMEs) in their dealings with NAFDAC. · Promote export of value-added and processed agricultural products in tandem with Federal Government’s efforts to diversify the economy from its monolithic dependence on export of oil. · Address problem of transportation and logistics to inspection sites as part of concerted efforts to strengthen our enforcement activities. · Take other decisive steps that can help reposition the Agency toward achieving its statutory mandates. As I meet with the different directorates and integrate inter-directorate goals in the coming months, the tasks highlighted above will be further refined. I would also like to remind all staff that the attainment of the missions and visions of NAFDAC is a collective responsibility of all staff. My role as the Director General is to provide leadership, direction, and motivation to all staff for the realization of our goals. The challenges confronting the agency require hard work and commitment from all us. We must work together to safeguard the health of our people and the nation.